These darn Formula One drivers. They’re so amicable, so friendly, like wealthy, televised, car-driving neighbors or something. What happened to the aggression, the anger, the ruthless rivalries—the glory days? Mercedes boss Toto Wolff wants to know, because his drivers are getting along too well. 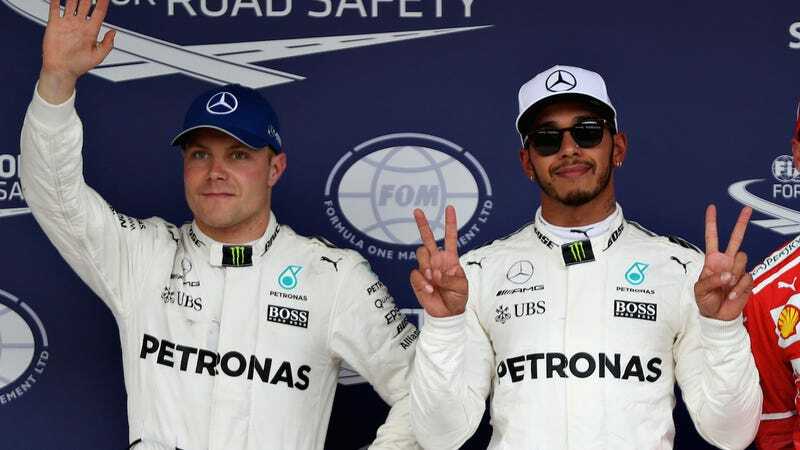 Wolff, who spent several years as Track Dad calming the searing anger between former and current Mercedes F1 drivers Nico Rosberg and Lewis Hamilton, now thinks his team needs some fire back in it. When Rosberg retired out of nowhere at the end of the 2016 season, the Mercedes team lost the best modern rivalry in F1—the annoyed hat throwing, the on-track revenge the two got at each other, and the constant mind games they played. Things were so petty and bad that Wolff had to threaten to replace one of them on the team, multiple times. But Track Dad misses those days, it sounds like. He longs for the times when he had to count to three to make his kiddos straighten up and stop smacking each other with random objects, and he needs this replacement Nico, Valtteri Bottas, to start acting up already. “I don’t think we need to avoid a stressful situation,” said [Wolff]. “We need to acknowledge that, if two team-mates can fight for race wins and a championship, that this will be a rivalry. “And we need to be conscious and acknowledge that that is the case. “We are not trying to build a new family here, we want to be the most effective racing team, and an effective racing team needs stress, needs tension, needs disruption as much as it needs calmness and a positive attitude and mindset. Look, Toto, you don’t have to cover up your true feelings here. We know you want your tension-stricken little Mercedes F1 family back, even if it does mean building a new one. 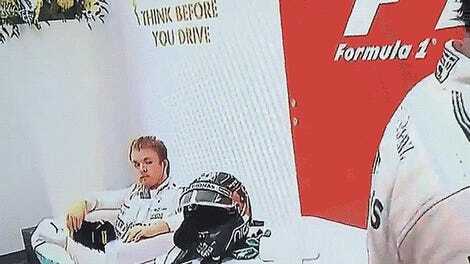 Perhaps you’ll get that one day, but it’ll take time to make Valtteri and Lewis feel so negatively toward one another. That kind of anger doesn’t come in a day. For your sake, Toto, we hope the kiddos start giving each other bunny ears in team photos soon. Find them some of those blow-up boxing gloves that were a big thing in the early 2000s, and surely that’ll help speed up the process here.